This yoga instructor swears by them for better posture. Take a look at where your shoulders are as you’re reading this article. Odds are, they are shrugged up into your ears, hunching forward, or both. The shoulder has the most flexible joint in the body, but because our range of motion is limited during the day, our shoulders often lock up as a result. In our technology-obsessed culture, it's not uncommon for your shoulders to be rounded—over our computers and over our phones. Enter: shoulder openers. Shoulder-opening yoga poses can help alleviate the tension that contributes to bad posture, neck pain, and difficulty breathing. Think about it: Bending over puts extra weight and compression on your lungs and diaphragm, making it harder to properly fill up your lungs and breathe deeply. So how can you open your shoulders and avoid looking like the Hunchback of Notre Dame? Here are six expert-recommended yoga shoulder stretches from Maya McKenna, a certified yoga instructor and senior teacher with YogaWorks in Los Angeles, California. Hold each pose for three to five breaths to really feel the stretch. This yoga pose is the ultimate shoulder-opening stretch, especially after a long day of hunching over your desk. McKenna loves this stretch because it's great at widening out where you've pulled yourself inward. How to: Roll your shoulders back a few times before you start this pose to make sure that your shoulders aren’t all the way up by your ears. Then, reach your hands behind your back and press your palms together in a prayer position. If your hands don’t come all the way together, you can always just touch your knuckles together or use a yoga strap, resistance band, or towel to bind them, says McKenna. Like other inversions, this yoga pose allows for better blood to flow to the upper body, placing your heart over your head. The best thing about this pose, says McKenna, is that you’re using the ground as leverage, which helps you deepen the stretch. How to: Stand with your feet hip-distance apart and lengthen through your spine as you bend over your legs. 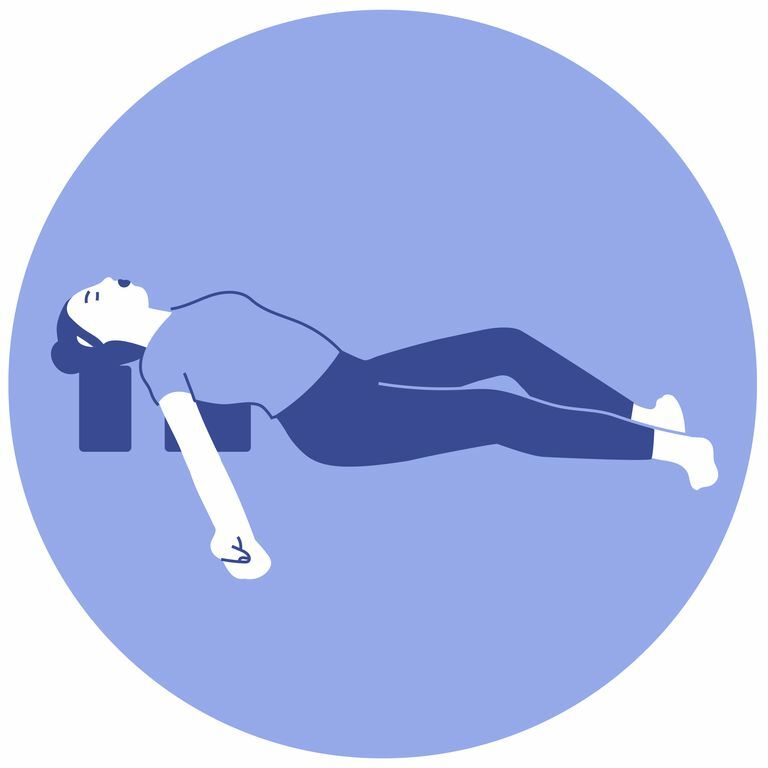 Press one palm into the ground as you reach the other arm towards the ceiling, twisting your torso to face the same direction as the hand in the air. Repeat on the other side. Sometimes, the best way to unwind is a bind, as demonstrated in this yoga pose. Eagle arms is a great way to release your shoulders from your ears, says McKenna. It also helps make your joints more flexible and improves range of motion after being in a fixed position for a long period of time during the day. How to: Straighten both arms in front of you. Then, wrap your left arm underneath your right arm so the backs of your hands touch each other. Be sure to slide your shoulder blades down your back as you enjoy the opening across the front of your body. Once you try this stretch, we promise you will wonder how you ever lived without it before. To start, grab two yoga blocks. If you don’t, books can serve as a good substitute. How to: Place one block on its long side and position it just under your shoulder blades (or bra strap line). Have the other one at its highest height, and rest your head on top of it. 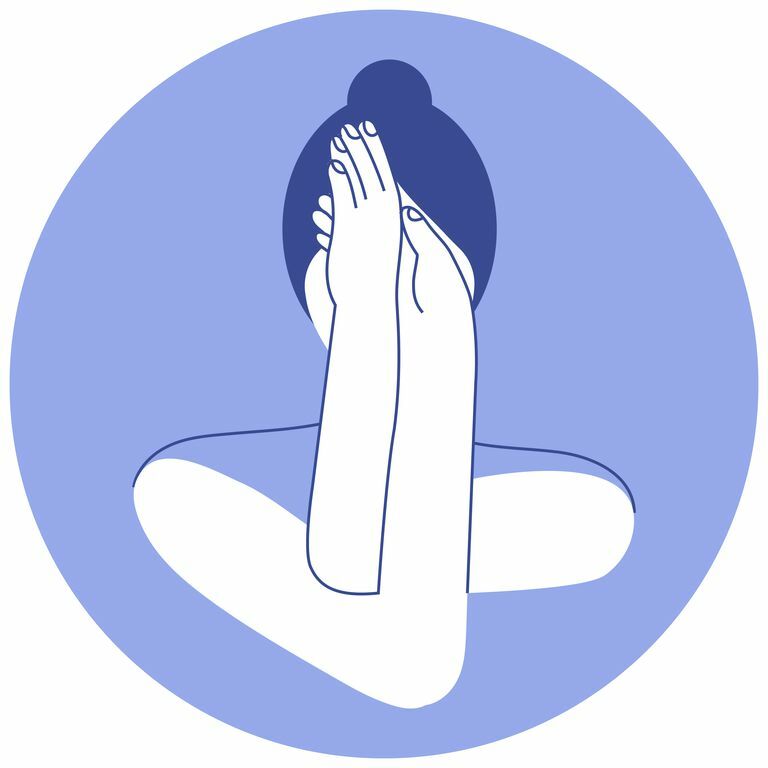 Then, grab each elbow with its opposite hand and sink into this restorative pose while you feel your shoulder and chest opening. For more advanced yogis, says McKenna, you can backstroke your arms as you reach for your heels, though, she adds that most of us are pretty tight in the shoulder joint and will have trouble with this. How to: Kneel with your knees about hip-width apart and your quads perpendicular to the ground. 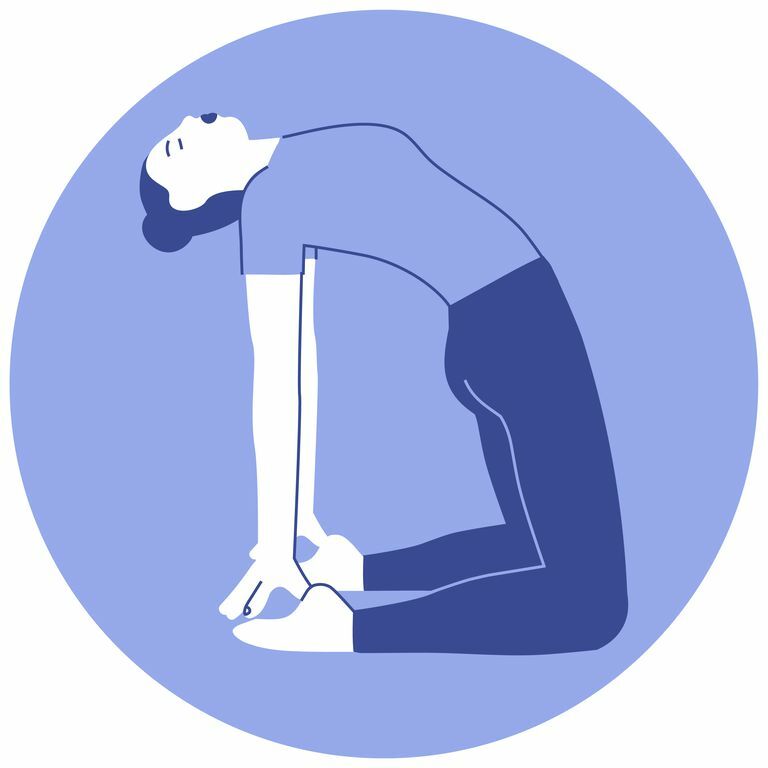 From here, place your hands on your lower back with your fingers pointing down as you lengthen through your spine to bend backwards, as if you were bending over a large beach ball. If you have a towel or a strap handy, it’s probably a good idea to grab it for this one unless you know you’re exceptionally bendy. 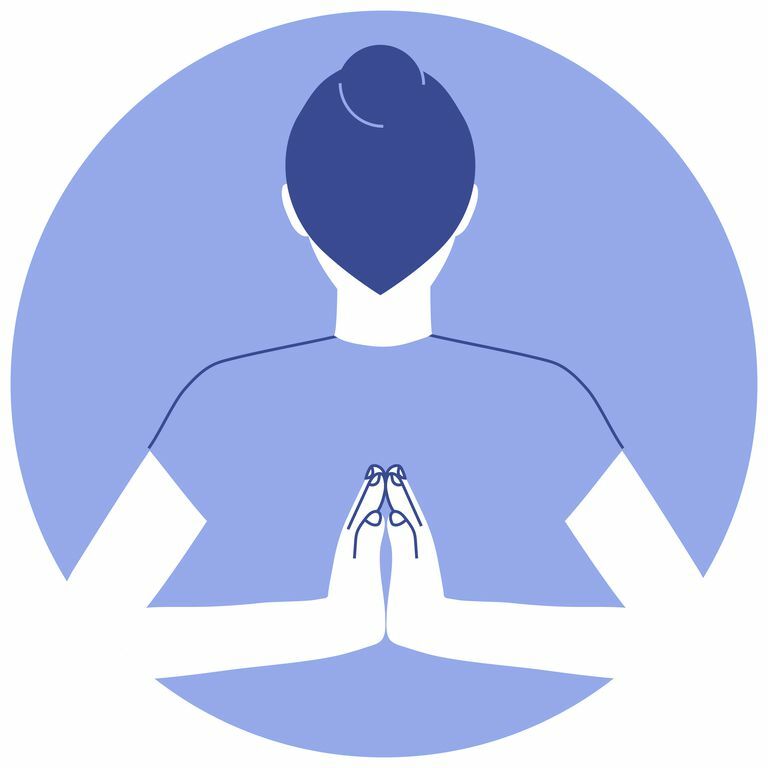 How to: Reach your right arm up so that it is parallel with your spine and point your hand in the direction of your shoulder with your fingers pointing down. 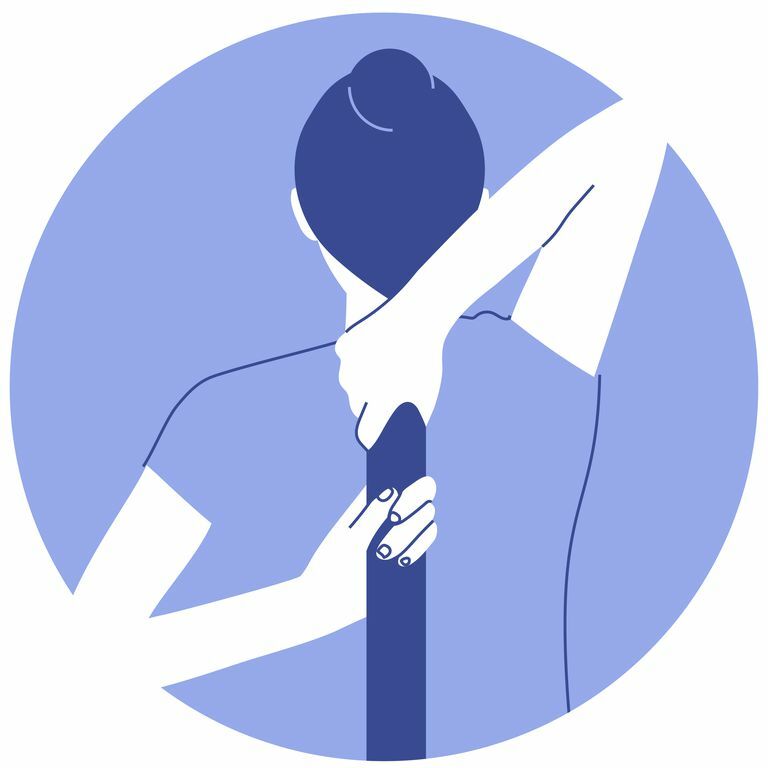 Wrap your left arm behind your back and stretch it towards the right arm. If your hands meet without a prop, clasp your right and left fingers together. Otherwise, hold the strap or towel in each hand to shorten the distance between them.